The old phrase that “Content is King”, cannot be denied. And for this reason SEO service providers give prime importance to content creation and marketing. 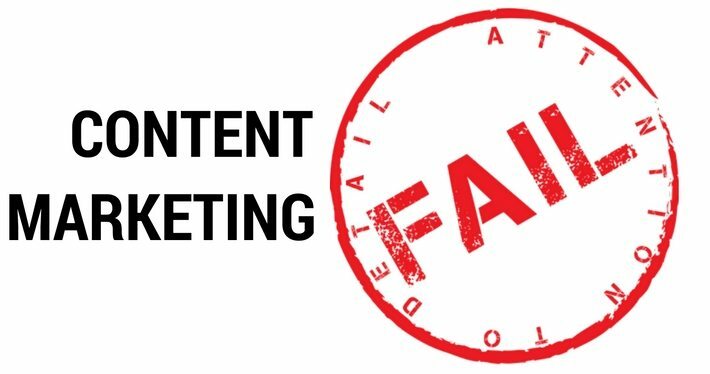 However, there are times when your content marketing efforts do not yield results. Marketing and circulating your content can be an effective way to connect with your target audience. Not only that, it is also a means to draw web traffic so that from amongst the visitors, you can find your prospective customers and leads. It is a way to tell your clients what products and services you are offering and introduce them to your online business. However, there are several reasons for the same and in this write up we will explore the various reasons for the failure and how you can solve the problem. So, check out the paragraphs below. Regardless of the topic on which you are developing your content, there is no rule of thumb that you have to limit your word count to any specific number. The length of the content will invariably depend on factors such as the topic, your target audience. As per Searchmetrics and serpIQ, it is suggested that the length of your content ought to be ideally between 1000 and 1300 words. A length of your write up less than this figure finds it difficult to rank in search results and also it may not be engaging as it is assumed to be. However, an important aspect that you must keep in mind is that quality is of primary importance. If you dilute a topic just for the sake of increasing the length, it will never give you the desired result. SEO undoubtedly plays an important role in gaining visibility virtually. So, you have to make sure that on-page as well as off-page optimization should be done by experienced and reliable search engine optimization firms. The factors that you ought to keep in mind include the Title tag, alt image tags, URL, and headings (H1, H2 and so on). Most importantly, when you optimize your content, you also have to keep in mind that your content should reach not just the desktop users but mobile users and other hand held device users too. Another very important aspect that you should keep in mind is that just as On-page and Off-page optimization is necessary, overdoing it can land you in trouble. In other words, keyword stuffing, forceful incorporation of keyword, and irrelevant content can get your website penalized too. Maintain a healthy keyword density and make sure that the write up is relevant and speaks about the topic you have chosen rather than focusing only on the keyword.